Buy a PRO X-CC Install Pack and a Neutron and receive 4 DL231 for free! 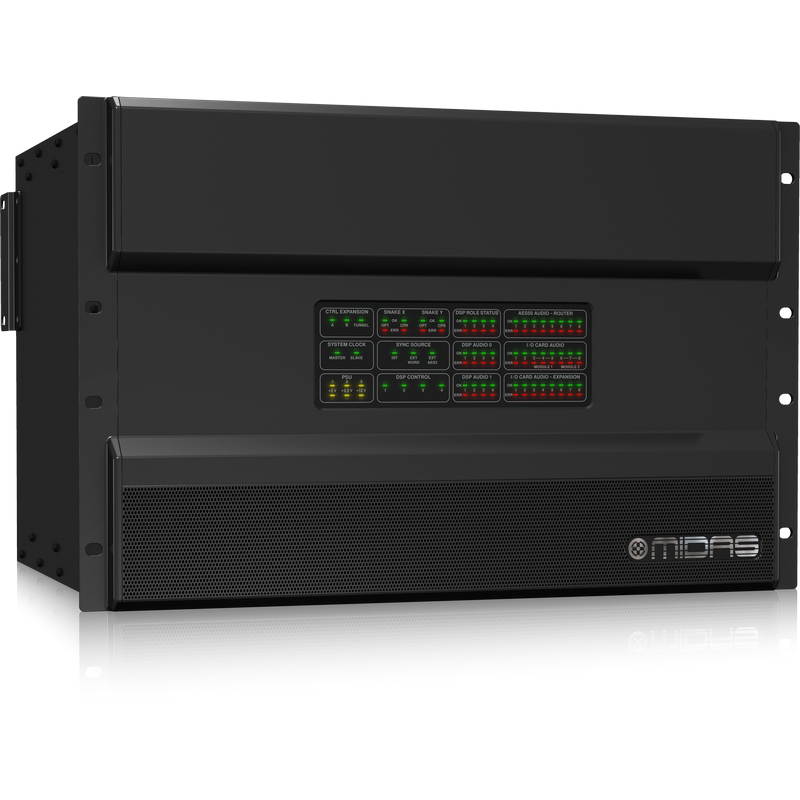 PRO X is compatible with all MIDAS PRO Series digital I/O units, as well as with any other 96 kHz enabled AES50-equipped devices. 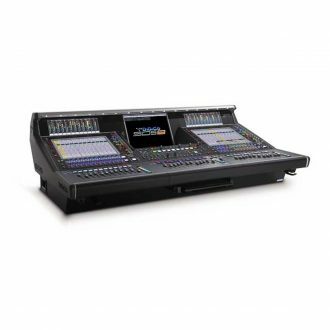 Multiple PRO Series consoles can be connected together to create either larger mixing systems, or multiple discrete mixing consoles can share a common resource of networked and distributed I/O interfaces. 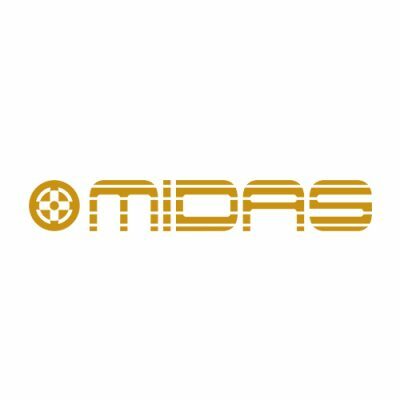 Midas PRO X incorporates new and innovative methods of channel and mix bay navigation: FLIP Navigation, FX Navigation, GEQ Navigation, and MCA Navigation. 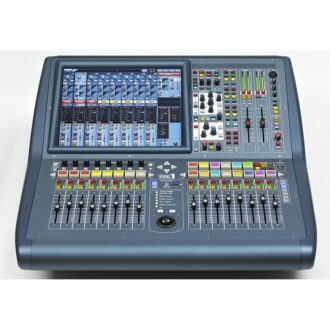 These four options allow an engineer to easily and efficiently mix a large number of inputs on a compact control surface. 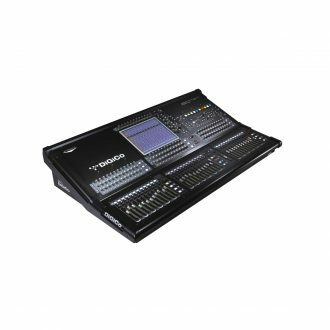 PRO X also features the ability to display and control any output bus on the input control bay area. This navigation flexibility makes working with the console as simple as requirements dictate, or as deep and complex as a user desires. 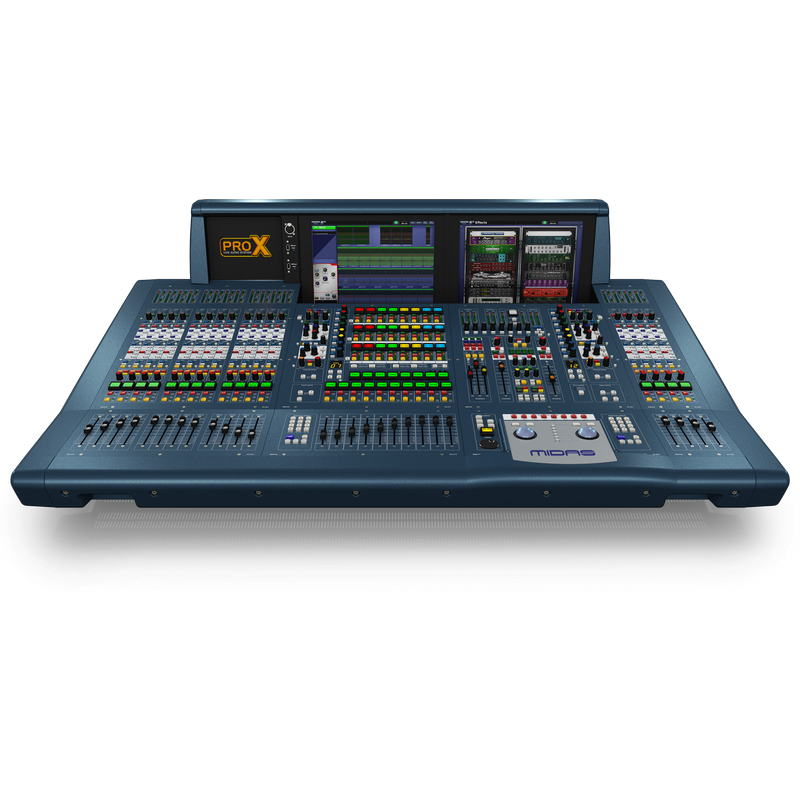 PRO X’s new centre section, which features 24 LCD switches that provide immediate access to up to 24 stereo pairs of output mix buses, also supports the new navigation modes. 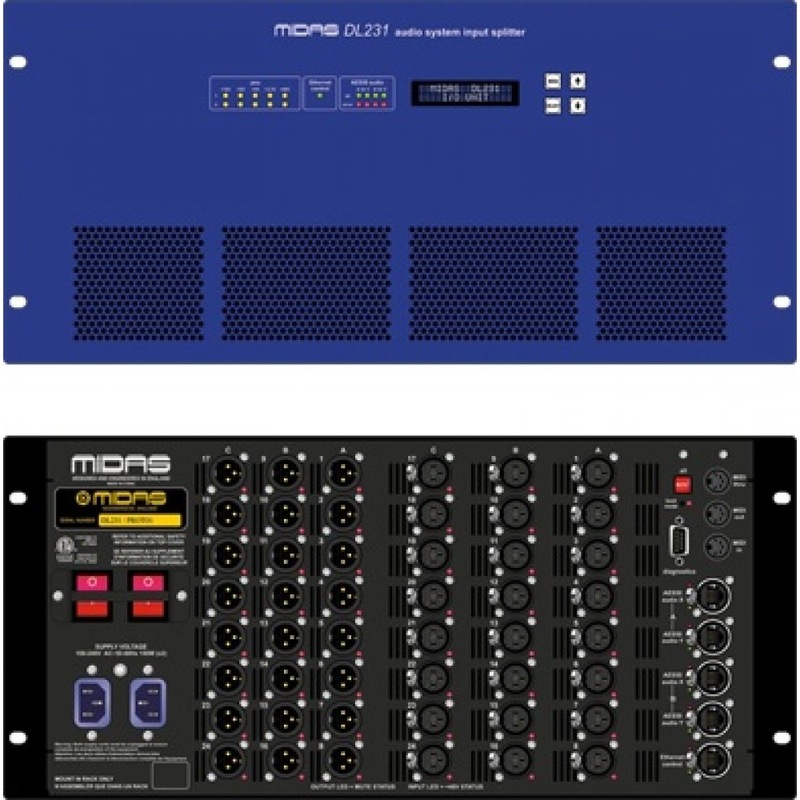 The Midas PRO X can simultaneously process up to 24 internal multi-channel effects and NEUTRON’s 40 bit floating-point audio processing hosts a wide choice of virtual effects devices, which range from dual-mono delay units, stereo modulation and numerous diverse reverberation simulations, multi-band compression, dynamic EQ and multi-channel dual-function dynamics processing. 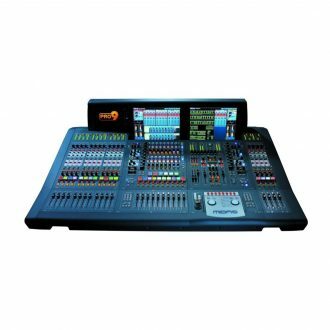 Up to 36 1⁄3 octave KLARK TEKNIK DN370 Graphic Equalisers (GEQs) are provided, which can be patched into any output. 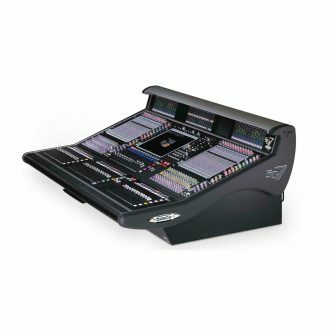 PRO X provides comprehensive automatic latency management of all internal routing andprocessing latency – and also includes compensation for external analogue inserts. 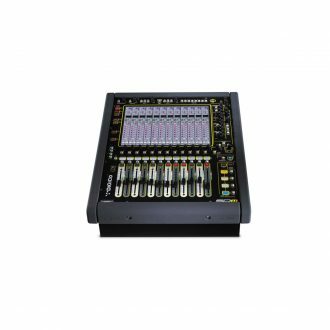 All audio samples are synchronised before summing, resulting in absolute phase coherence at the outputs,without the comb filtering effects of competing products that often result in specific frequencies being cancelled out completely. 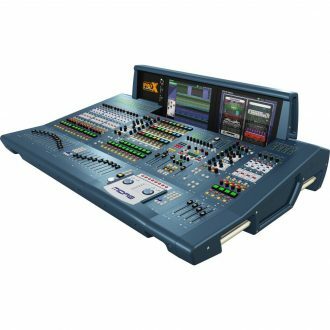 Delivering unprecedented control and mobility, the MIXTENDER App for iPad* combines control of key functions with the highly responsive system metering, allowing users to take control of PRO X using an iPad from anywhere in a venue. 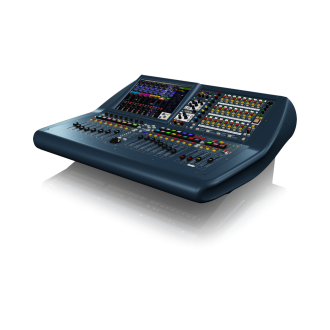 Support for multiple simultaneous iPads allows FOH and monitor engineers to work collaboratively, enhancing productivity and communication as well as saving valuable time during set-up. The PRO X has dual-redundant control computers, and three removable power supplies – only two of which are required for operation. The power supplies, which are interchangeable with those in the NEUTRON Engine, are auto-voltage sensing for use on a worldwide basis and provide seamless switchover in the unlikely event of a loss of one of the three power supplies. The Gigabit digital audio network shall operate on a time-division multiplex basis, and shall provide accurate phase-aligned low-jitter clock distribution using embedded timing markers in the data streams to allow transmission over either Cat5/5E copper cable up to a distance of 100 m as specified by the IEEE 802.3 Ethernet standard, or up to distances of 500 m using 50/125 μm multimode optical fibre. It shall provide two levels of cyclic redundancy check (CRC) error detection – a checksum sent with the associated Ethernet frame and an additional checksum for audio data. A dedicated 200 Mbit/s auxiliary data channel shall be provided for control data. 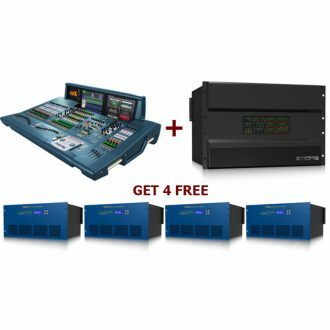 Dual redundant auto-ranging universal switch-mode power supplies.